Hi. It being Ramadan and all, nipping out for a Friday breakfast review isn’t really an option here in Dubai. But I do love a weekend breakfast adventure, so the obvious option in my mind was to bring the brekky adventure to my kitchen. 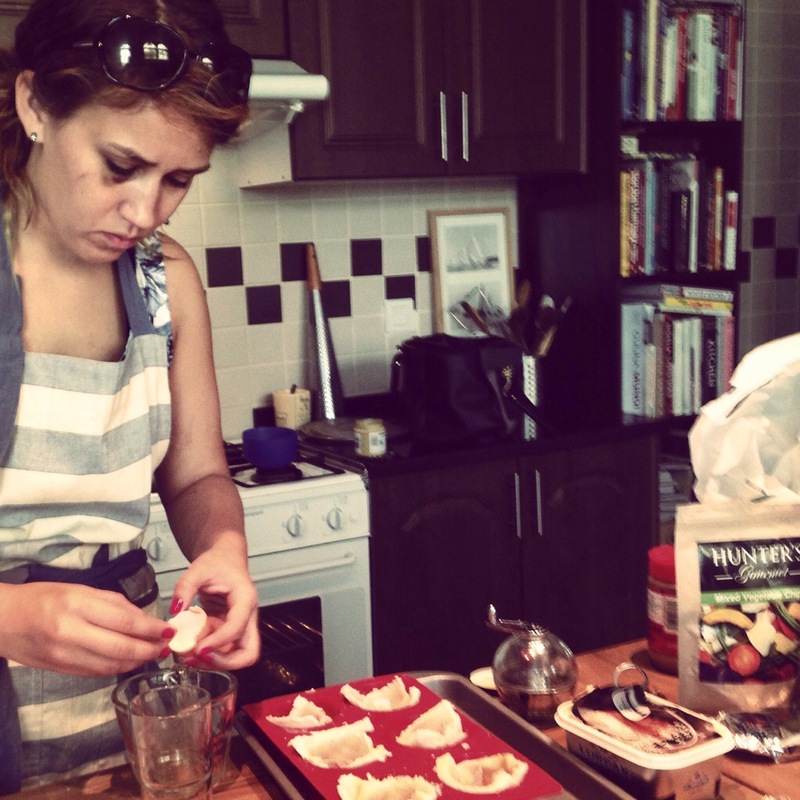 My mum introduced me to Rachel Khoo a while back. Not in person, but in BBC iplayer format. 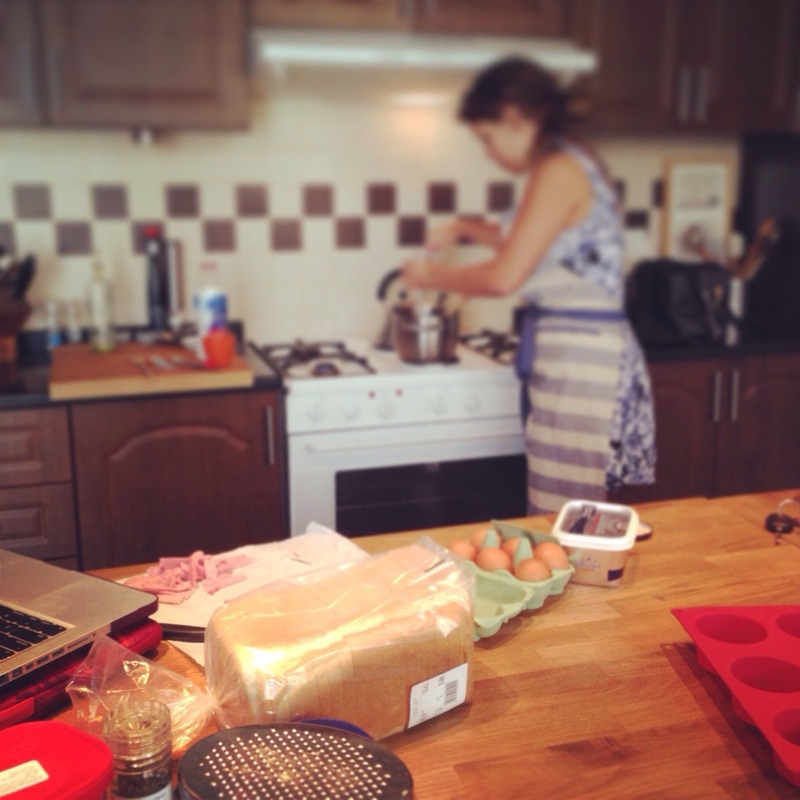 And this is actually the first recipe I watched her work her magic with, in her teeny tiny french kitchen. I have been trying to come up with an excuse to make these ever since. Bingo. Excuse granted. 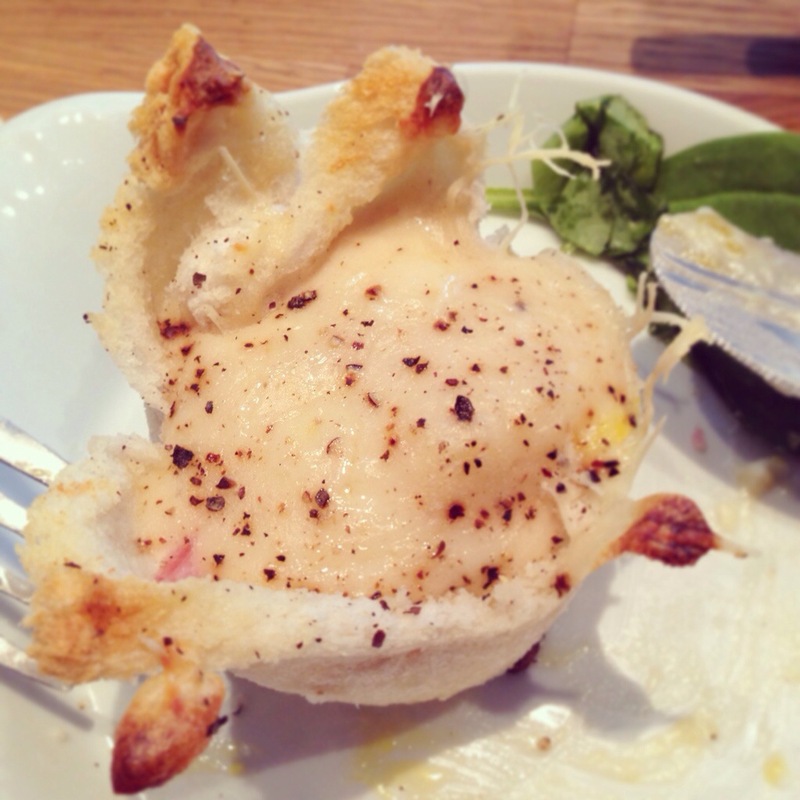 This is Ms. Khoo’s take on the classic Croque Madame. 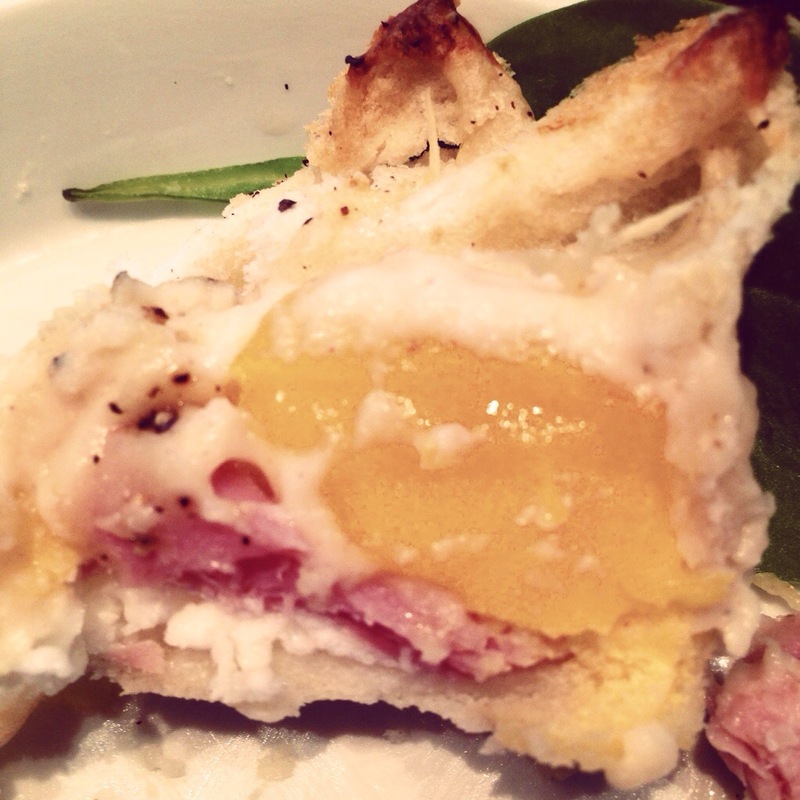 Fun fact of the day – the difference between a Croque Madame and a Croque Monsieur is that a Madame is served with a poached or fried egg and a Monsieur doesn’t. Actually not too hard too remember when you think about it…. (the lady one has eggs…tee hee). I apparently have the mental age of a 12 year old. I had high hopes for this marvellous creation, and I must say that met all expectations. It was melt-in-the-mouth delicious. Buttery, nutmegy, mustardy heaven. I have no doubt in my mind that I’ll be making these again – they rocked my flip flops off. 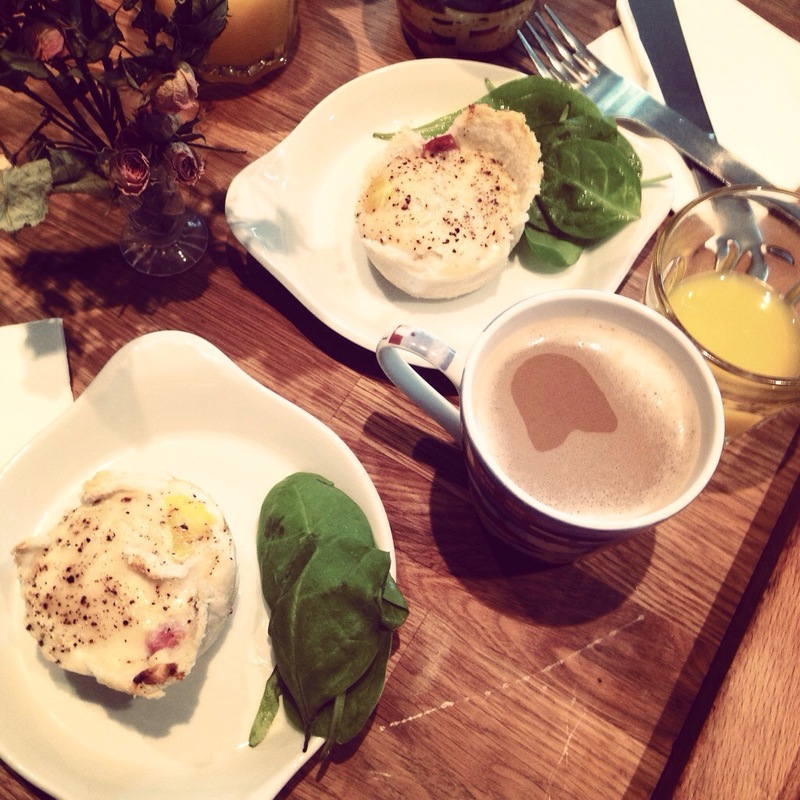 Fantastic alternative to bog standard eggs benedict. Hop aboard. You’ll love me for it. Oh – and a special thanks to Jessie for being my partner in crime this morning – your bread flattening skills were truly exquisite. Enjoy! 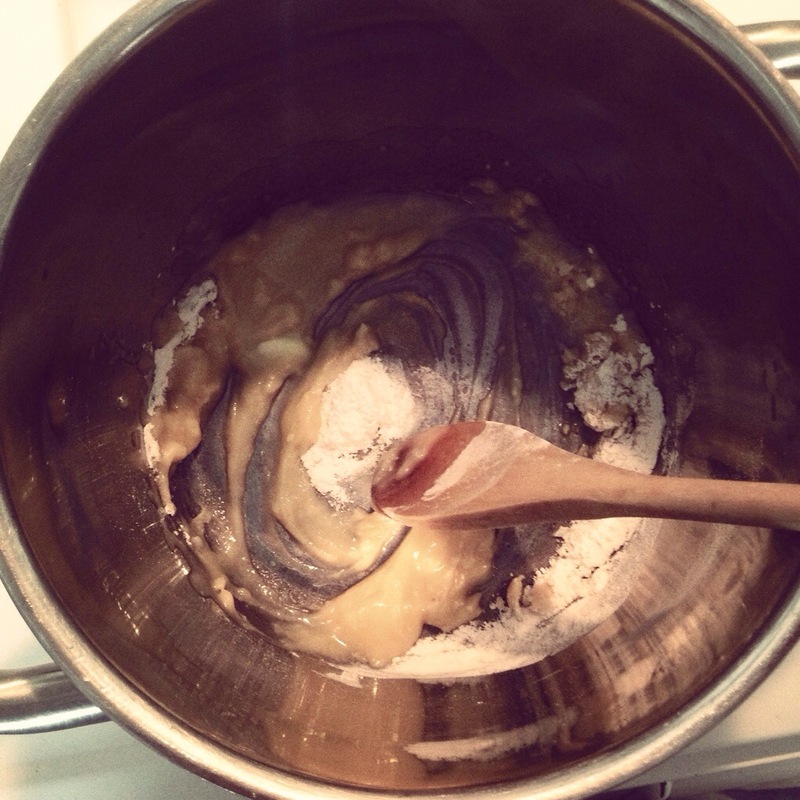 1/ For the sauce, melt the butter over a medium heat, then whisk in the flour a little at a time to form a thick paste. 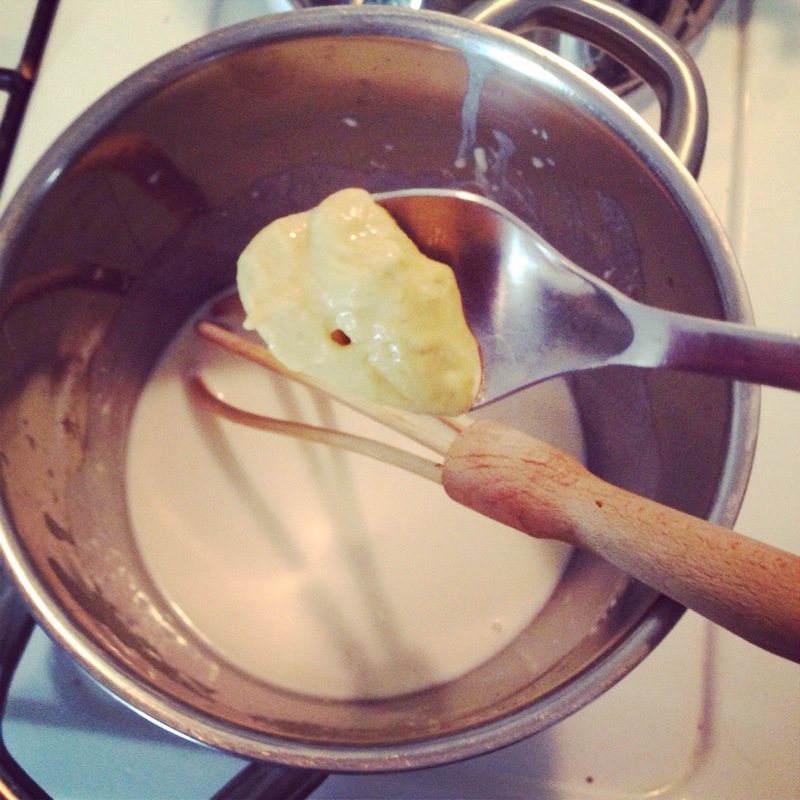 2/ Whisk in the milk a little at a time over the heat, to form a thick sauce. Add in the mustard, nutmeg, and seasoning. 3/ Once you’re happy with the thickness, take the sauce off the heat, and whisk in the cheese until melted. 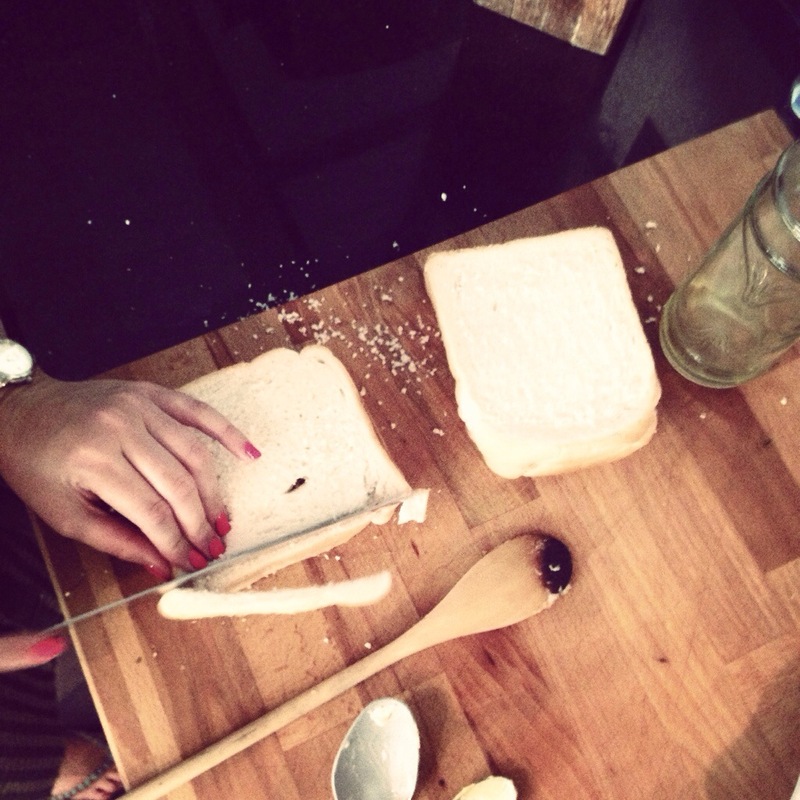 4/ To assemble the muffins, remove the crusts from six slices of white bread. 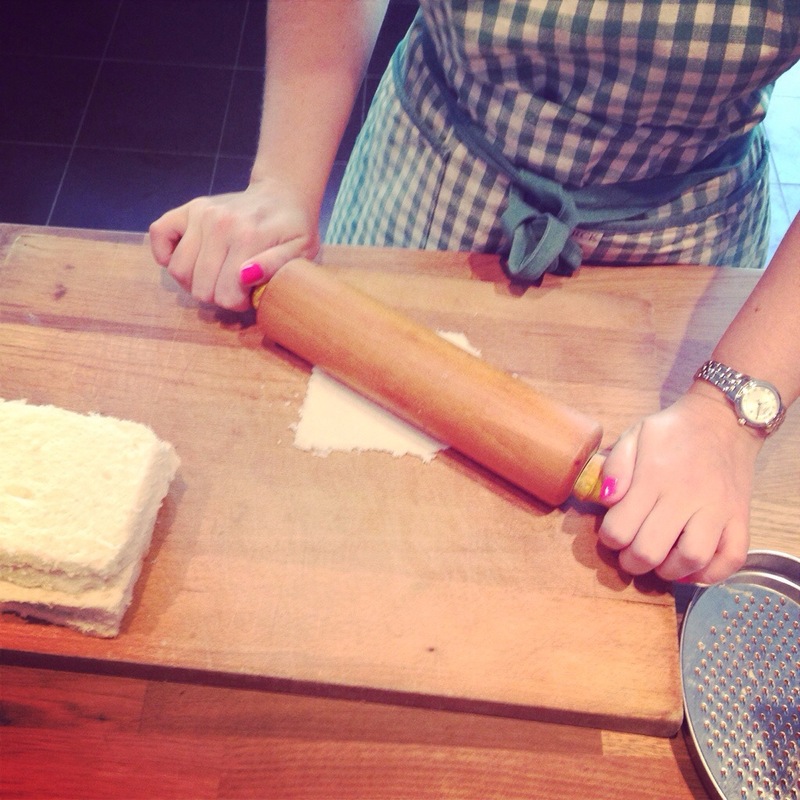 Flatten the crustless slices with a rolling pin. 5/ Brush both slides of each slice with the melted butter, and push down into a greased deep muffin tin. 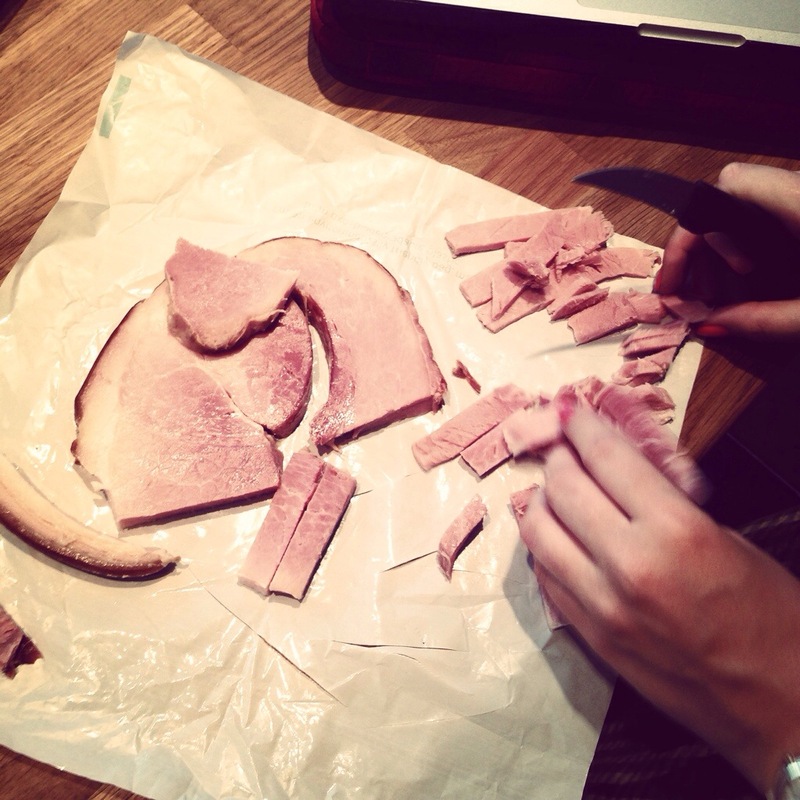 6/ Put a few pieces of ham in the bottom of each bread cup. 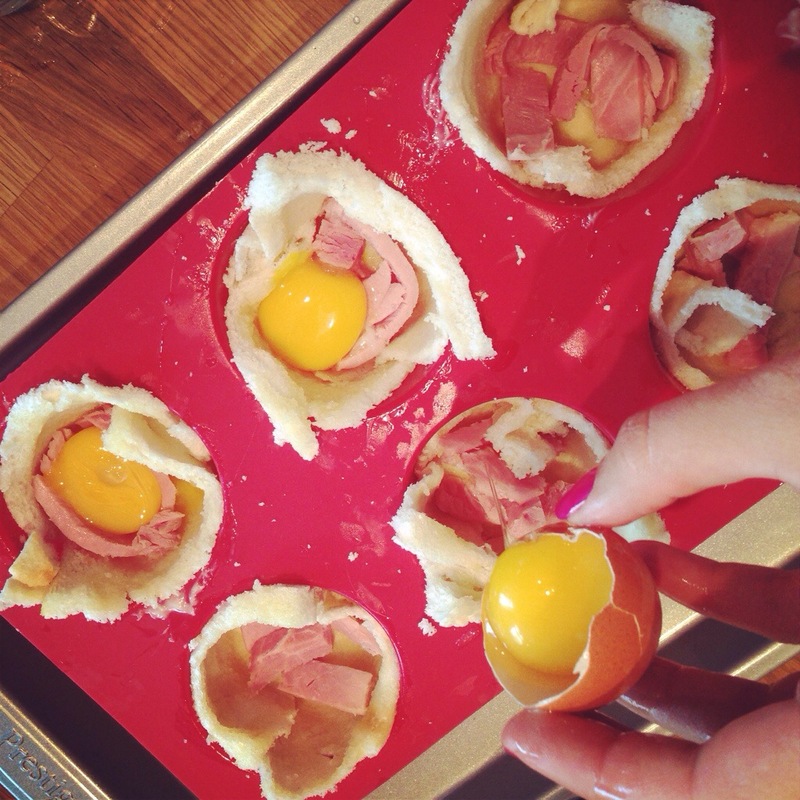 7/ Separate the eggs, placing a yoke in each muffin, and the whites in a separate bowl. 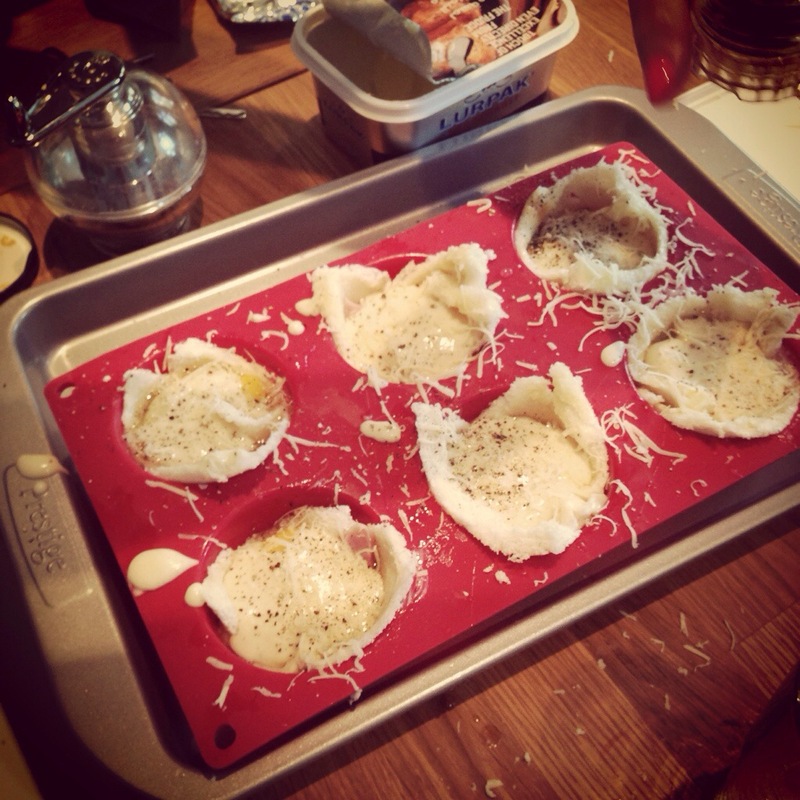 8/ Poor a small amount of egg white into each muffin, leaving enough room for the sauce. You’ll more than likely have some sauce leftover. 9/ Place a tablespoon of sauce in each one, top with a little more Gruyère and cracked black pepper. 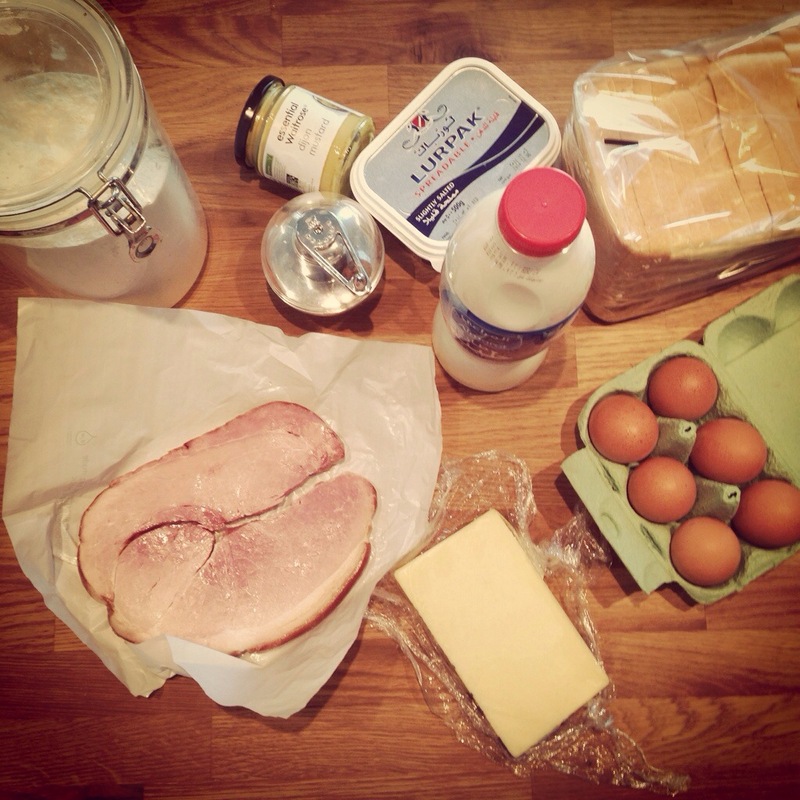 10/ Bake in an oven at 180°C for 15 minutes for runny eggs, or a little longer if you prefer a firmer yoke. p.s. To stay up-to-date with more recipes and culinary adventures, don’t forget to follow #CAKE on Facebook, Twitter, and Instagram! We must plan the next breakfast feast! I’ll do some research!